Tonally, the CZ-1 has a warmish and slightly soft sounding timbre with a definite even-harmonic emphasis to instrumental notes and a euphonic vocal pitch. The general curve is little low-end biased up to 1k with a slight drop beyond but little in the way of annoying peaks. However, it does lack a little in the way of power and top-end air as well as an overall pace that is more languid than pacy. Some of that loss of power may have to do with the choice of pads or the level of clamping. Push tight on the cups and you get a much more physical low-end performance. I am sensing the stock physical distance of the woofer drivers takes some of that power away rather than the pads being overly porous. One does wonder what a set of better sealing leather pads might achieve in terms of sub-bass presence. However, at the same time by pressing tight I feel the enhanced bass response takes a little away from that unique spatial sound field that the CZ-1 creates. That lusher tone of the CZ-1 is also a little short on flagship levels of micro-detail. It is not that it lacks detail, there is plenty of it but rather its harmonic balance lacks a little clarity to catch the listeners ear as clearly as the likes of the HD800 and the Hifiman Susvara which are altogether more revealing. This is less of a reference headphone and more of a musical experience in that regard. The calling card of the CZ-1 is really a lot more on casting a very spacious sound for a closed back headphone and a type of imaging quite unlike the aforementioned TOTL headphones. Here is where the CZ-1 creates an entirely unique and dare I say it, a very special experience. I would at this point highly recommend you have adequate power in any source or amp you use because the more power you feed the CZ-1 the better the dynamic range in its presentation and thus the better staging capability. I should start by saying that it technically is not the biggest soundstage you will ever here. It does not have that HD800 extreme sense of width nor that Final D8000 powerful sub-bass depth. In fact, it can at times seem a little intimate with vocal pitching around the 2k range a little further forward compared to the likes of the Susvara. What it does do very well indeed is to project imaging in a very holographic matter from front to back so spatial cues are more ‘out of your head’ and very much around you as opposed to the traditional left/right center experience a lot of headphones deliver. More to that the sense of timing and accuracy from the CZ-1’s imaging performance was very accurate to my ear. Crosszone have been anxious to emphasize this “speaker type” experience from the CZ-1 and in some ways the imaging is very much like that of a quality set of bookshelf speakers. Rather than directionally deliver each signal right into your ear, it presents them “mixed and ready” into both ears in a very cohesive manner. Combine that with a likable and natural to warm timbre and it takes on an almost hypnotic but relaxing experience. with both movies and music. The CZ-1 bass performance is perhaps the most forward part of the presentation though not by a huge amount. It has a slightly mid-bass emphasis with sub-bass presence just 1-2dB behind. This emphasis peaks around 100HZ then does a slow but steady drop by around 8-9dB down to 1k. It will bring a little of that mid-bass warmth into an elevated upper bass and lower-midrange so instruments retain and richness and slightly forward positioning. Bass performance on the CZ-1 is full sounding but a little slow in its decay and not quite as quick or detailed as some leading TOTL flagships such as the Susvara or as much power as the D8000. It does have more body and presence than the leaner HD800. Lower-mids are a little further forward than the upper mids save for a smaller bump from 1.5k to 3k which pushes forward some higher vocal pitching giving female vocals, in particular, a nice level of focus. The very subtle L-shape of the curve will mean that generally mids are pushed back a little. There does seem to be a small 2-3dB drop right around the 1K area which tends to emphasize this positioning. This drop at 1kHZ is the effect of the crossfeed and HRTF on the general FR of the CZ-1. That being said mids on the CZ-1 do not sound overly recessed given the treble performance is not overly emphasized either. In fact, mids to treble transition is very smooth with absolutely no peaks save the tiniest of nudges around 8-10k to prevent it from sounding dark. Instrumental timbre is rich, warm but also slightly soft sounding with an even-harmonic emphasis. Vocal timbre adopts the same characteristics which I just adore actually for long-term listening because it is wonderfully sibilant free. Male vocals have slightly less air than higher pitched female vocal. The CZ-1 seems to really excel with modern day female folk and huskier pop vocals such as Anette Askvik and Dua Lipa. Treble is relatively flat save for a small bump at 8-10k which is a lifesaver otherwise the CZ-1 could have sounded overly dark. This is not the airiest of top-end performance but does counter that concern with a smoother curve that lacks any irritating or jarring peaks. Comparing with the Senn HD650 it does have a little more energy and not quite as rolled off in the treble. Percussion timbre that reaches into the lower treble, therefore, remains soft but with decent body and enough detail. This is a very non-fatiguing experience but perhaps too laid back for the detail to shine through. The CZ-1 is rated at 70Ω and 97dB. I have no problems getting good volume control on weaker sources like the LG G6 and the Sony 1Z in high gain gets the job done also. On sensitivity levels, the CZ-1 can run portable or desktop depending on your preference. However, in terms of delivering the type of dynamic range I think is required for the unique CZ-1 sound field to come across as convincing you need a lot more power than some portable sources can provide. The difference between a 2W unbalanced output of the Xi Audio Formula S solid-state amp and a smartphone, for example, was night and day. In short, the CZ-1 can scale very well. Particularly in the low-end response where my own LGG6/CZ-1 pairing sounded flabby, rolled-off and not at all 3-dimensional as it should. Playing DJ Ten’s Nightwolf subwoofer-like opening on the CZ-1 sounded like a subwoofer tone on the LG G6 but felt like an actual subwoofer tone once hooked into the Formula S. The difference was stark and far more satisfy on a decent amp. The better amp of the Sony 1Z DAP closed the gap and certainly sounded a lot less compressed compared to the LG G6 but still felt a little lagging in terms of dynamic range and power compared to stronger desktop amps such as the Formula S and Auris HA-2SE. The absolute best in terms of output power and dynamic range on tested portable devices was Cayin’s N8. It is a pity that the new balanced cable Crosszone offers with the CZ-1 was not sent as I suspect the 4.4mm output of the N8 would sound sensational with this headphone. That being said the N8 unbalanced output had the required dynamic range though I would suggest using the solid-state mode only. The tube output of the N8 sounded way too rounded and lush with the CZ-1’s already soft tone. The solid-state option was a cleaner and punchier sound which I think the CZ-1 needs. A good budget option pairing was the V6 Vivid opamp rolled Burson Fun headphone amp. I would tether the Burson amp with a resolving DAC to maximize that Class A resolution with the CZ-1 also. Something like the Chord Qutest is ideal. With this setup, the CZ-1 will benefit from that punchier low-end and cleaner highs of the V6 Vivid opamp performance and sound very dynamic and responsive with that 2W single-ended output the Fun is capable off. The classic flagship headphone in many ways the HD800 is still going strong in 2018. At its street price of around $1k these days it is an absolute bargain and I still think it gives a lot of newer gear on the market a run for their money. It is not for everyone though with that peaky 5-7k marker and accurate but perhaps polite low-end. 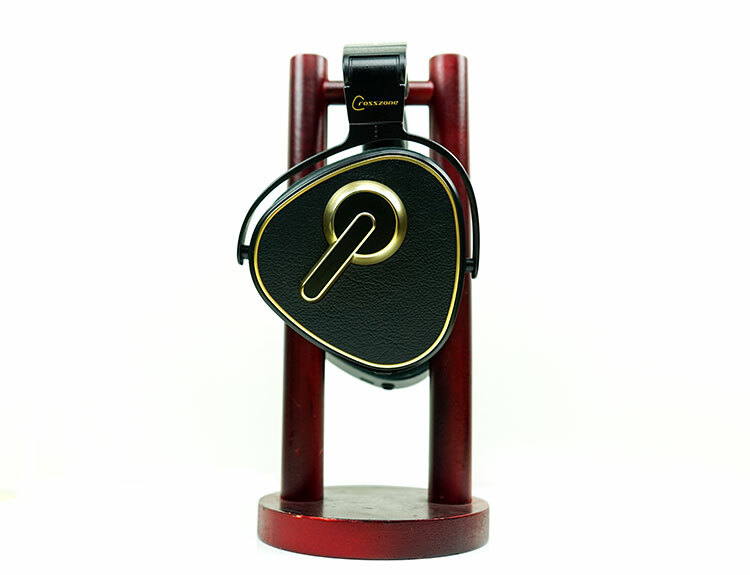 However, it is soundstage where the HD800 makes it mark and that is where the CZ-1 is seeking to establish itself also. In a way, both have superb if somewhat unique designs and excellent build quality. The HD800 is the lighter of the two though it has what I would term a more traditional approach to pressure balancing with its more rigid headband arch. The comfort levels are excellent and perhaps even slightly more so than the CZ-1. I do give props to Crosszone’s unique articulated design since it makes that 480g weight seem a lot less heavy than it should be. 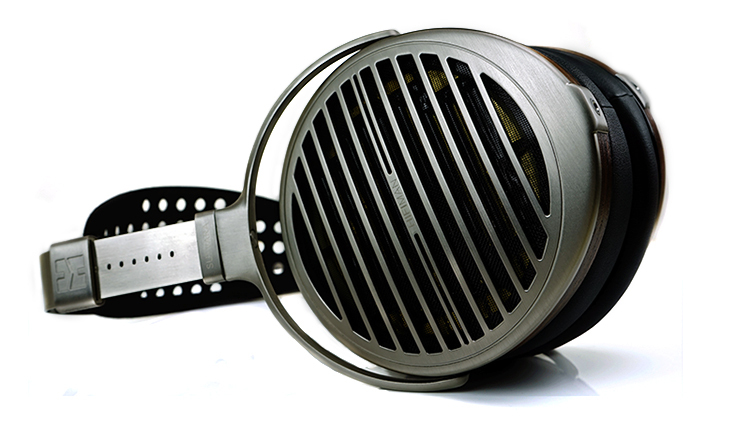 The HD800 is an open-back design compared to the 99% closed design of the CZ-1. While neither is what I would define is overly sensitive headphones the Hd800 is by far the more demanding of the two at 300Ω compared to the CZ-1’s 70Ω rating. There is not a huge gap in terms of sensitivity at 102dB for the HD800 compared to 97dB for the CZ-1 so loudness levels and volume control will not be that far apart. The HD800, however, will scale with better amps and to be frank really needs a great amp to sound at its best. The CZ-1 also scales but it far less demanding and even a quality DAP such as the Cayin N8 will sound great with it. Tonally these two headphones are chalk and cheese. The CZ-1 is smooth, warm with a euphonic even-harmonic bias. There is a touch of low-end emphasis and a laid-back treble performance. Overall, is it quite forgiving sounding from top-to-bottom but lacks the absolute clarity and detail I would really want from a $2500 headphone. The HD800 goes in the opposite direction. It speedy, hyper resolving and very detailed with a leaner or more neutral timber and a dose of odd-harmonic presence with that aggressive 7k peak and generally brighter treble. It doesn’t deliver a huge amount of low-end power, in fact much less than the CZ-1. In fact, the HD800 bass presence rolls significantly compared to the CZ-1 sub-100Hz which is why I find it a bad match for most hard driving rock anthems and modern pop. If ever there was a classical or synth-wave headphone specialist then the HD800 is it. 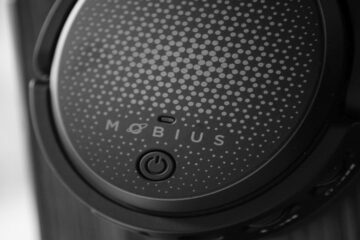 This headphone divides many listeners because of that treble response. Some love its amazing headroom with that airy treble extension, others get fatigue from that peakier aggressive lower treble. The CZ-1 is not going to give you any fatigue problems in that regard. There is a decent level of treble detail but it is a much smoother curve with a softer attack and little in the way of harsh peaking. A very different experience between these two and it is possible on this point to argue the CZ-1 may have the more natural soundstage. The HD800 always immediately impresses with that vast and very wide soundstage with unbelievable air and headroom. However, the HD800 is so vast imaging almost feels slightly disconnected. Particularly, if vocals are dead center they can at times feel a little lost in the vastness. Imaging on the HD800 has this wide arc either left or right and cues run up and down that arc to create that incredible sense of width. Some love it, some think its unnatural and for me, it depends on what I am listening to. I would take this for ambient trance, classical music, and church music any day of the week over the CZ-1. Anything with a ton of individual instruments that require ultimate clarity and control then the HD800 is going to have the edge. However, shrink the stage down to a chamber size or a dance hall where it gets a bit tighter and simplify the arrangements a touch then the CZ-1 does deliver a more natural soundstage with better depth and more of a ‘live’ feel. 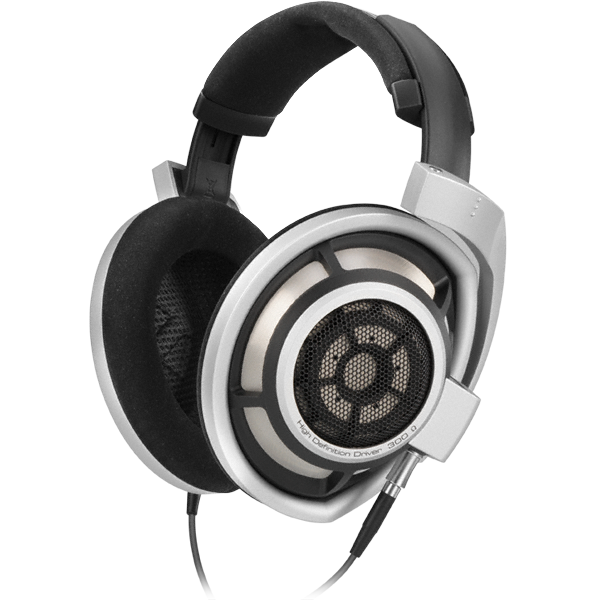 I consider the Susvara to be the best planar magnetic headphone out there right now in terms of soundstage and imaging. There are some that may sound perhaps deeper, or taller, but none quite have the accuracy and speed of the Susvara’s imaging capability. Its price is not for some, I get that, but if you can pick up a used one for less I encourage you to demo it. This is a more traditionally designed flagship headphone, at least by today’s standards in terms of form factor. The planar technology is bang up to date though with a really thin nanometer thickness diaphragm with nanotechnology at the heart of that design. Hifiman has taken the original process behind the HE1000 design and enhanced it to a Nanometer Grade level at less than one-millionth of a meter. I love the look of the Susvara and I think it is a vast improvement on their previous build quality levels but I have to give props to the CZ-1 materials and how well it put together. I give the edge to the CZ-1 in terms of durability and the quality of the finish. If you want lightweight then the Susvara has a small edge. The Susvara also has a more “acceptable” form factor. It is a smaller headphone volumetrically and in all honesty, a little more comfortable on the head than the CZ-1. The Susvara is an entirely open-back full-size planar design compared to the mostly closed-back design of the CZ-1. It has a single lateral driver compared to the triangular triple driver placement of the CZ-1. Despite the similar ohm rating (60Ω) the Susvara is the harder of the two to drive by far. That is normally the case with planars like the Susvara. The sensitivity rating of the Susvara is just 83dB, well below the CZ-1’s 97dB. That is a big gap. You need a quality amp with plenty of juice to get the Susvara sounding optimal compared to the CZ-1 which will run far easier off sub-1W amp stages. Amps such as the Xi Audio Formula S and the Violectric V281 will give you enough power and fidelity whereas the CZ-1 will be more than happy from lesser powered balanced amps such as the HA-2SE from Auris and the ALO Audio Studio 6. IMHO the best performing planar on the market today, especially in regards to staging and imaging capability. It is not quite as wide or as tall as the HD800, but perhaps a more natural soundstage for some, at least for me it is. The resolution and detail retrieval is excellent with a timber that is more natural in tone with a slight hue of warmth than decidedly rich or overly neutral. Tonally, the CZ-1 is a lot softer, warmer and lusher in delivery and lacks that super-resolving presentation that the Susvara can deliver. It has a bit more bass warmth than the Susvara so it will sound the thicker of the two but it does not reach as deep not is it as defined and articulating sounding. If you are after the detail and speed the Susvara will have the edge over the CZ-1. Given it costs $3000 or more than the CZ-1 that should come as no surprise. The Susvara is also not quite as forward or energetic as the HD800 in terms of treble articulation but I personally think that slightly subdued top-end works in favor of the Sundara making it a more forgiving experience. Once again both offer a massively different staging experience. You could argue the Susvara has much the bigger soundstage but the arrangement of instruments and vocals is totally different to the CZ-1. The Susvara present everything either to the left or right or direct and center. It does indeed have excellent depth and good height but its very much in a traditional headphone setting. The CZ-1 pushes vocals further forward and narrows the stage a little compared to the Susvara. Within that slightly more intimate soundstage instruments are more creatively positioned to produce a very immersive experience. For example, Christine & The Queen’s Saint Claude there is this ever-present percussion and synth sequence that skips lightly from the front of the stage to back just either side of a forward-focused vocal presentation. The separation and imaging create a very precise understanding of how the stage is set up for this track on the CZ-1 which is intimate but quite holographic in nature. With the Susvara I hear more detail and a more accurate timbre but I do not perceive the same front to back imaging of that percussion passage. Possibly as a result of that more expansive soundstage of the Susvara, the percussion passage is quite far from the vocal positioning and more to the extreme sides of a much bigger ‘physical stage’. For some that might seem a little “flatter sounding”, for others it may be more impressive, especially for those who like a huge arena like soundstage. It is quite an interesting contrast from these two headphones. 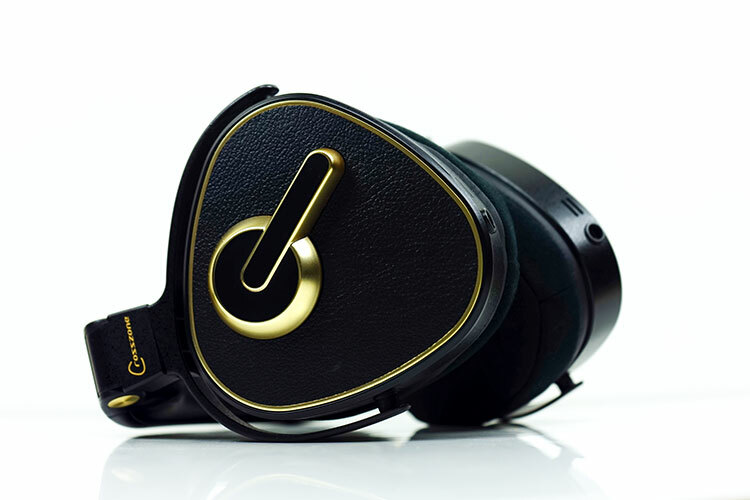 We just reviewed the D8000 a few weeks ago and it is one my own personal favorite headphones review this year. It has a raw emotive and very powerful signature that wreaks havoc with my old 80’s rock and in a very good way. This is Final’s first every truly flagship headphone and priced accordingly. The build is every bit as good in terms of materials used and how well its drilled together. Both the CZ-1 and the D8000 are made in Japan and look it also. However, the D8000 is heavier by 30g which may not seem much on paper but in reality, the design of the D8000 makes it feel much heavier by far. The design is quite rigid for me with a headband, even at its shortest level, feels a touch too long. You get a lot of vertical pressure and ok lateral pressure with the D8000. You also get a small contact surface area on the head which might not be the most comfortable. It is the one weak spot in the build of the D8000 and the key strength of the CZ-1 design. That 485g weight and pressure displacement are better managed on the CZ-1 so it feels lighter on the head and a good deal comfier around the ear. 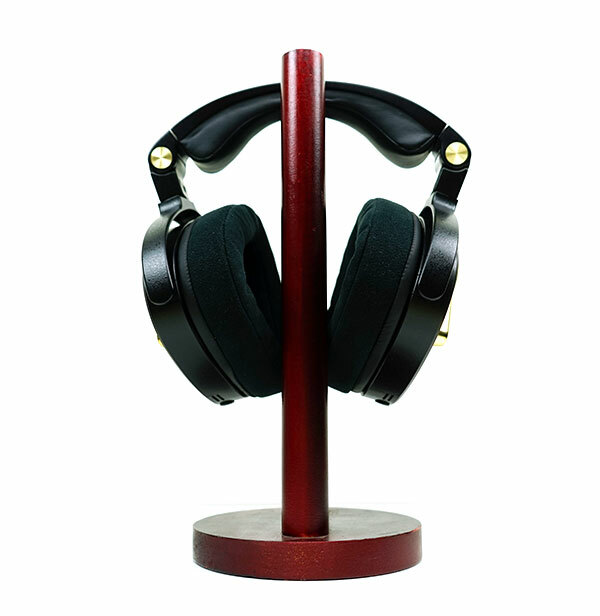 The D8000 is an open back planar magnetic headphone. Some have confused it with a closed back due to the large front portion of the faceplate being all plastic but the center is quite open. The sensitivity and resistance ratings are almost the same as the CZ-1 at 60Ω and 98db compared to 70Ω and 97dB. This is a fairly easy to drive planar headphone compared to the Susvara and even the LCD-4 so amps that drive the CZ-1 easily will also work just fine for the D8000. We found both had no driving issues on our Auris HA-2SE and Cayin iHA-6 amp using the unbalanced output. The rest is just down to personal preferences in terms of amp synergy. 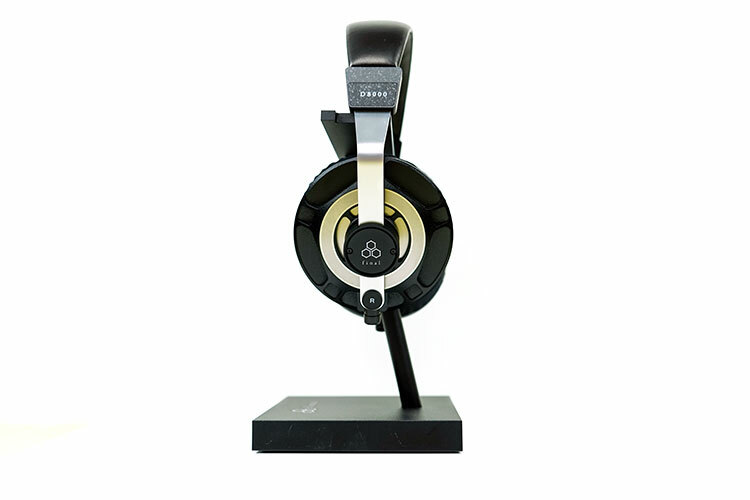 The D8000 is the more powerful sounding headphone with better great sub-bass presence and power. It will deliver much more depth in its soundstage than the CZ-1 which is a little more subdued by comparison (unless you squish your pads tight to your head). Both have a relatively smooth to natural sounding tone but the timber on the CZ-1 is warmer, softer and probably the more forgiving of the two with bad recordings. Treble is a little cleaner and more forward sounding on the D8000 so it adds a touch more energy for percussion and better instrumental clarity, for example, string plucks are clear and accurate sounding. The CZ-1 does not resolve micro-detail quite as well, instead, it quite often delivers a more romantic sounding presentation with a stronger even harmonic-emphasis. With no particular area being in focus, it sounds much more neutral in its positioning compared to the D8000. For example, vocal presence is much more vivid and forward sounding on the D8000. What you do get is a complex layering and imaging performance with the CZ-1 compared to the D8000 which is much more front and center in its delivery. The CZ-1 will bring you back a good 10-20 rows and present a roomier and more complex delivery of spatial cues. I would not suggest a huge soundstage such as the HD800 compared to a smaller diffuse planar one since the D8000 has a better sense of depth but rather it is the way auditory cues are delivered that makes this very different. The immediate sense of music coming left and right and center from the D8000 is palpable compared to the ‘out of the head’ experience of the CZ-1. If the CZ-1 had a stronger defined low-end presence and better resolution the CZ-1 would be a much more complete experience for soundstaging. For instance, Empathy Test’s Cure-like Bare my Soul has this metronomic ‘synth clap’ to the rear of the stage and a synth “whistle” at the front. The clap is clearly audible to the rear on the CZ-1 and moving in a steady 4:4 time. The synth whistle overlaps during the same 4:4 in a singular passage to the far upper-left but at the front of the stage. Both are dead easy to pick out and both are clearly positioning differently on the CZ-1. On the D8000 using the same track the synth clap is heavier and cleaner sounding but it images lower down rather than further back. The synth whistle is also a little more centered on the D8000 and not quite in the far upper-left as in the CZ-1. 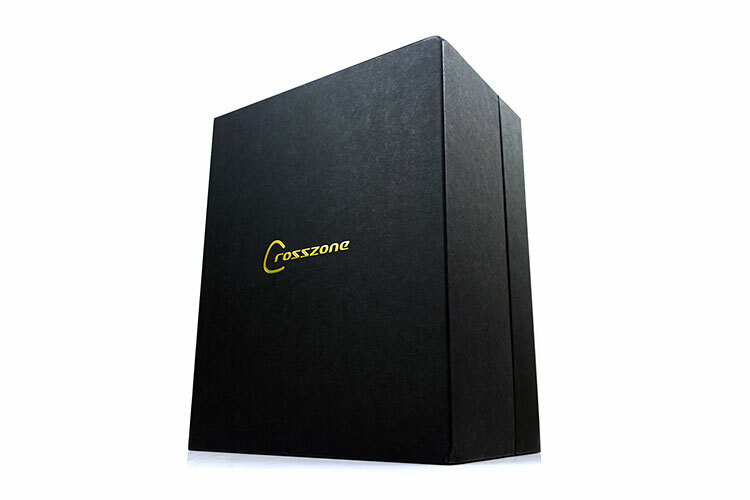 The CZ-1 from Crosszone is a truly unique listening experience and well worth a demo if you get a chance in any of the audio shows they attend or a dealer near you. 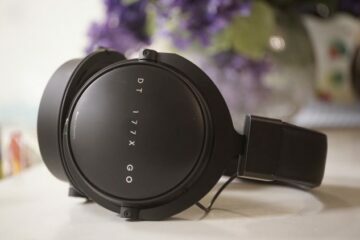 Whilst it does not have the absolute micro-detail and reference-tuning to trouble the big guns n the same price bracket or slightly above it does offer an entirely different experience when it comes to presenting sound compared to traditional headphones. This is all about soundstage and how the signal is managed within that soundstage. The crossfeed design creates a very holographic out of your head experience that does often sound like a quality set of speakers. To tell you honestly the CZ-1 for me has become my movie headphone of choice. It seems tailor-made for those 1.5 to 2-hour listening sessions at home. On that basis job well done. Also, job well done on the design. This is a headphone will polarize if you stare at the pics. You will either love it or hate it but in the end, this is one quality piece of engineering. Really well put together and for a 485g headphone, it feels very comfortable on the head. Just watch how you position those cups as the sound can change a little depending on how you seat them. Overall a memorable experience and in this day and age with the market being saturated with ‘me-too vanilla’ audio products, memorable is a sellable pitch worth holding onto.